Nutrition is CONFUSING. How much should you eat? When? How? Why? I am so pumped to be offering a very specific MEAL PLAN with details about exactly what and how much to eat as part of my next online boot camp. No starvation, no nasty foods, and even some of your favorite goodies are permitted. Let’s get you healthy the right way! For this very exclusive boot camp, I am looking to work with 10 busy, motivated, fit women, who have 5-15 pounds to lose and want to lean out their midsection. Women who are willing to prepare whole, clean, nutrient dense foods, and workout 5 days per week, but simply need some accountability and a specific workout and MEAL PLAN to follow. I am here to prove that it IS possible to be in the best shape of your life AFTER having kiddos. And not only that – it’s possible to have great abs! This online program is 45 days – includes my personal boot camp workout plans, a specific meal plan with containers to manage portion sizes, recipes and healthy holiday treat tips, accountability, motivation, and 24/7 access to me. Fees will apply because after 10+ years in the fitness industry, I know we are all more successful with follow-through if we put our money where our mouth is. However. I am 100% confident that I can find a plan that fits your budget. 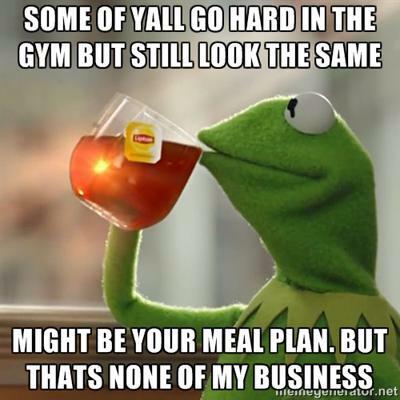 The Online Boot Camp with MEAL PLAN program will start on March 16. Six week program starting on March 16. This program has two options. First, you may purchase my personal tried-and-true online boot camp program (results guaranteed) with grocery list based on the Paleo lifestyle. Second, for the FIRST time ever, I am also offering a specific meal plan option per my new partnership with the makes of P90X and Insanity. Purchase the BeachBody 21 Day Fix Extreme Program and meal replacements to try through the program, and I will give you my Boot Camp program for FREE (no additional charge). If you choose to simply do my boot camp program (comes with grocery list based on the Paleo lifestyle) it will be only $20 per week, payable via cash, check, or PayPal. If you participated in Amanda’s Boot Camp program earlier, you will receive a $20 discount. The BeachBody 21 Day Fix Extreme Program and meal replacements (perfect for breakfast or lunch) is $140 (plus tax and shipping) and will still include a FREE copy of my Body After Baby DVD. Please register to join below. I am only accepting the first 10 ladies who register. After you register, I will send you an invoice via PayPal. You may pay via PayPal, check, or cash. I will also send you the health forms, waiver and liability forms. Payment (in full) and all forms are due prior to the start of Boot Camp. Please let me know if you have any questions at all!